Rosa G. Molina is the Executive Director of ATDLE, the Association of Two-Way & Dual Language Education (ATDLE) which was founded in March 2012. ATDLE evolved from Two-Way CABE, that Rosa helped to develop in 1991. In her most recent work, as Executive Director, Rosa and her team provide technical assistance and professional development to TWBI Programs in California and the Western region of the United States. ATDLE continues to promote the expansion of TWBI education and the Seal of Biliteracy throughout California and the U.S.Before retiring in 2011 to take the lead with ATDLE and Two-Way CABE, Ms. Molina worked as the Assistant Superintendent of Curriculum and Instruction for Ravenswood City School District in East Palo Alto, CA from 2009-2011 after working for San Jose Unified SD for twenty five years. 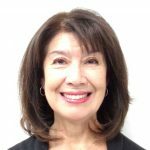 In SJUSD, Rosa was also the Assistant Superintendent of Curriculum & Instruction where she had supervisory responsibility and direct oversight of the district’s eight state preschools, 39 elementary schools, seven middle schools and seven high schools. In addition, she provided oversight of the Special Education, Desegregation, Curriculum and Instruction, Enrollment, Bilingual Education, Elementary and Secondary Education programs for SJUSD. Rosa built her base of expertise by spending years as a bilingual classroom teacher, Title I Resource Teacher, Staff Development District Trainer & Resource Teacher, Manager of Staff Development, Principal, Director of Bilingual Education/Staff Development, and Director of Elementary Education. 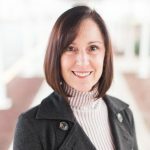 Her national dissemination work through Project Two-Way, an Academic Excellence Grant from the U.S. Department of Education, helped her found and support the development of more than 30 programs throughout the United States.